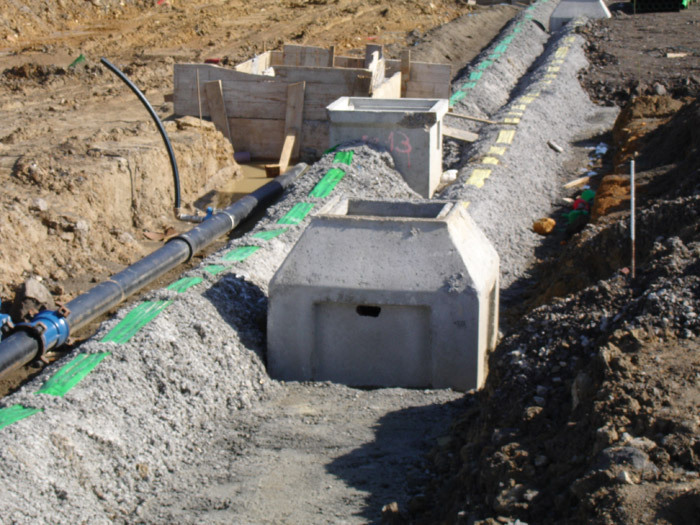 Precast concrete inspection chambers are habitually used in remodelling and new developments. These concrete inspection chambers are used to make connections between different installations, for both electrical connections and rainwater collection. Due to their design and versatility, the precast concrete inspection chambers can have very different uses and functions. PREFABRICADOS ALBERDI has different types of inspection chambers depending on the type of use. At Prefabricados Alberdi we also develop concrete inspection chambers. Contact us to request a quote.